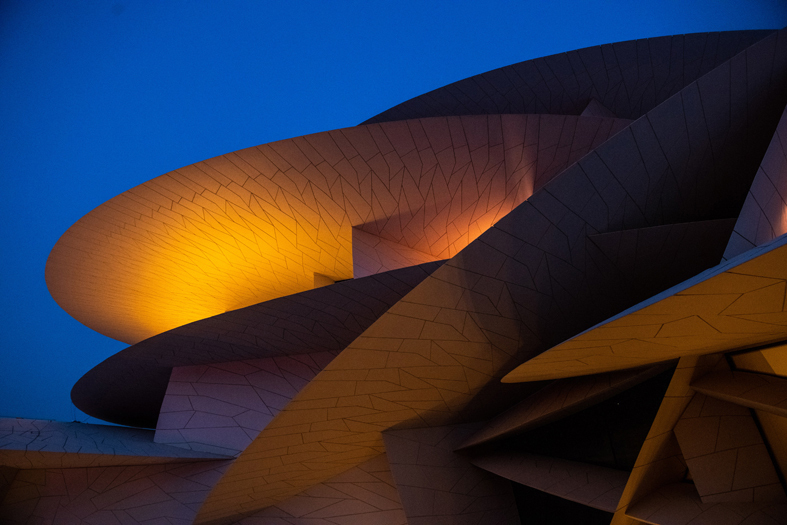 In presence of Sheikha Al Mayassa Bint Hamad Khalifa Al-Thani and Sheikha Amna Bint Abdulaziz Bin Jassim Al Thani, as well as international personalities, the National Museum of Qatar was inaugurated in March 2019. Housed within a spectacular masterpiece by French International architect Jean Nouvel, who remembered the phenomenon of the desert rose to develop his concept with its great curved discs, intersections, and angles. Night view of the National Museum of Qatar. © Ammar Abd Rabbo. With its artificial lagoon of 900m2 at the entrance, where 114 fountains are scattered, its 1,5 km of galleries, the building located on the corniche joins the national library and the museum of Islamic art on the list of the flagship buildings recently emerged in Doha. 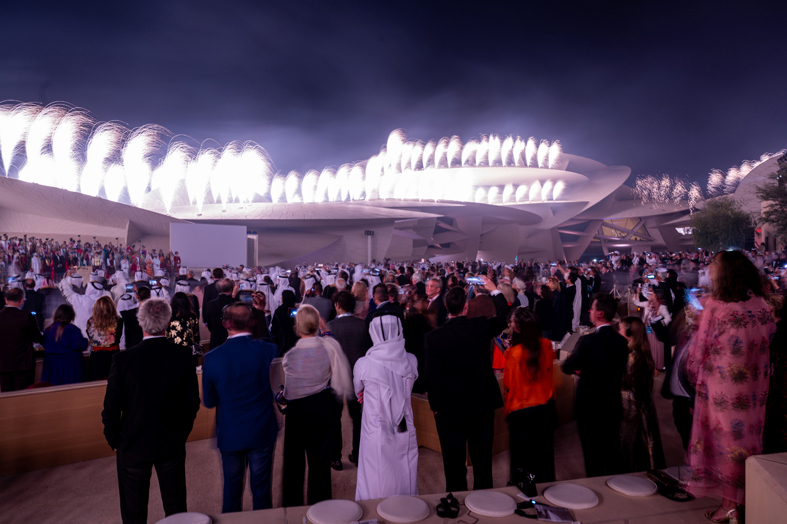 The atmosphere at the opening of the National Museum of Qatar in Doha. © Ammar Abd Rabbo. «The museum will tell the story of the people of Qatar», said Her Excellency Sheikha Amna bint Abdulaziz Bin Jassim Al Thani, Director of the National Museum of Qatar. This masterpiece by Jean Nouvel will integrate innovative artworks commissioned from Qatari and international artists, rare and precious objects, documentary materials, and interactive learning opportunities. 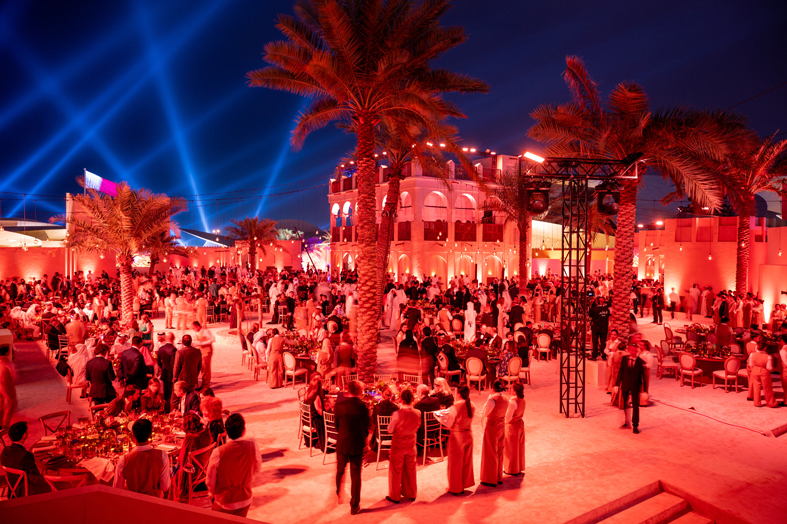 The atmosphere at the dinner following the opening of the National Museum of Qatar. © Ammar Abd Rabbo. At the core of the museum’s permanent exhibits and accessible to the public is a digital archive of thousands of images, videos, and documents from Qatar and abroad. And all these elements will be made accessible to as many people as possible. Established to celebrate the story of Qatar’s past, present, the Qatar National museum reflects the richness and ambition of the Emirate. Pictures of some celebrities attending the opening. Former French president Nicolas Sarkozy and wife Carla Bruni attend the opening of the National Museum of Qatar. © Ammar Abd Rabbo. Victoria Beckham attends the opening of the National Museum of Qatar. © Ammar Abd Rabbo. Brazilian model Izabel Goulart attends the opening of the National Museum of Qatar. © Ammar Abd Rabbo. Naomi Campbell attends the opening of the National Museum of Qatar. © Ammar Abd Rabbo. Johnny Depp attends the opening of the National Museum of Qatar. © Ammar Abd Rabbo. 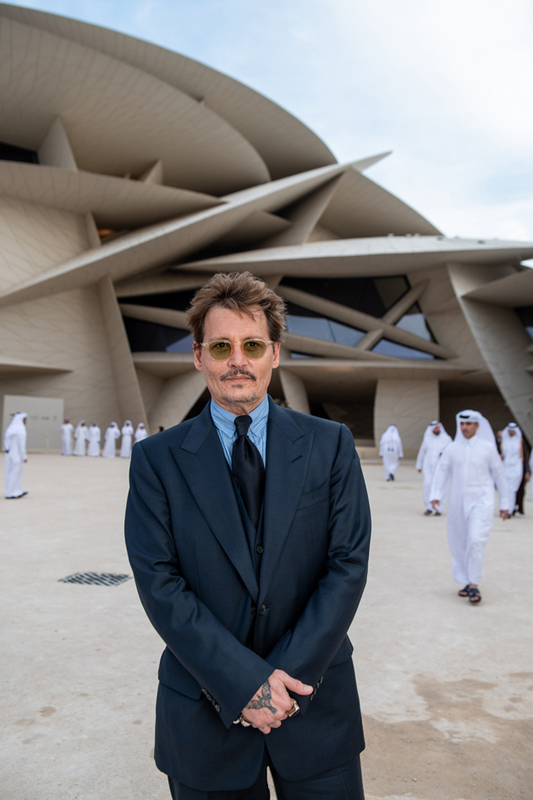 Natalia Vodianova attends the opening of the National Museum of Qatar. © Ammar Abd Rabbo.